Zabilo Ltd. is proud to announce that it has just received the supreme distinction of trust from one of the highest popular authorities, the number one Consumer Association “Imoun Atsibour”, which notably rewards the quality of service, fairness, transparency and respect for the law and consumer rights in Israel. The Association Imoun Atsibour (literally "Public Trust") indicates that the company Zabilo Ltd. acts according to the rules of fairness stated by the organization. The Association has examined its compliance with the rules. The company is committed to correcting deficiencies in its business and to making changes in its interactions with its customers: contracts, regulations, publications and complaints procedures. Only 1% of Ecommerce sites in Israel have obtained this status, number one reward of the Consumer Association Imoun Atsibour. We are happy and extremely proud to join this special club gathering the greatest professionals in Israel. We’d like to dedicate this immense reward to our employees, to our partners and also and especially to our customers who make us want to surpass us day by day and revolutionize Ecommerce and more widely service in Israel. What is Zabilo and how did you begin? Zabilo is a marketplace specializing in home appliances. As longtime eCommerce consumers, my family and I were disappointed, when we moved to Israel, to find out how far behind Israel is in this industry compared to cities like San Francisco, New York, Paris, Sydney, London, Hong Kong and Bangkok, where we had lived or visited. The absence in Israel of large platforms like Amazon condemns Israelis to being at least ten years behind in their purchasing options. Our love for Israel and our determination to improve the lifestyle here inspired us to develop an authentic eCommerce experience with Zabilo. The ease of purchasing online, with services such as Amazon, has dramatically transformed the shopping experience in other countries. How are you planning to incorporate this phenomenon into the Israeli marketplace? “to start with the customer and work backwards”. Zabilo’s number one rule: “The shopping experience has to be greater than the item bought”. It took time for Amazon to become the success it is today and it taught us the importance of placing the customer at the center. Moreover, our childhoods in Paris taught us a certain “art-de-vivre”. Israel is a country of immigrants, uniting people from all over the world under one flag. As we olim adapt to Israeli infrastructures that are different from what we know in the USA or Europe, we also make an impact on the society around us. Where do you purchase your products from? 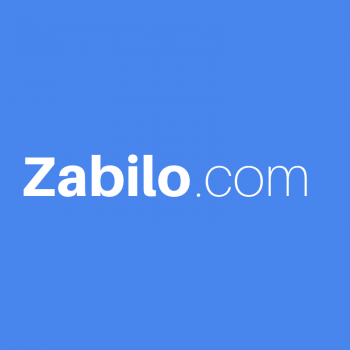 Many top stores are excited about doing sales on Zabilo.com. This enables Zabilo.com to offer some of the best products available at the best market prices, while giving our own service in English, Hebrew or French. We only sell products with the warranty of the official importers. We put all our efforts to provide our customers with the service and respect they deserve. How satisfied are your clients so far? We’re ambitious and our goal is to create a service culture here in Israel. To that end, we would like to offer everyone the chance to sell on Zabilo. Our priority is to continue guarantying our clients a high level of service. We aim for a long-term relationship with our customers and our suppliers.